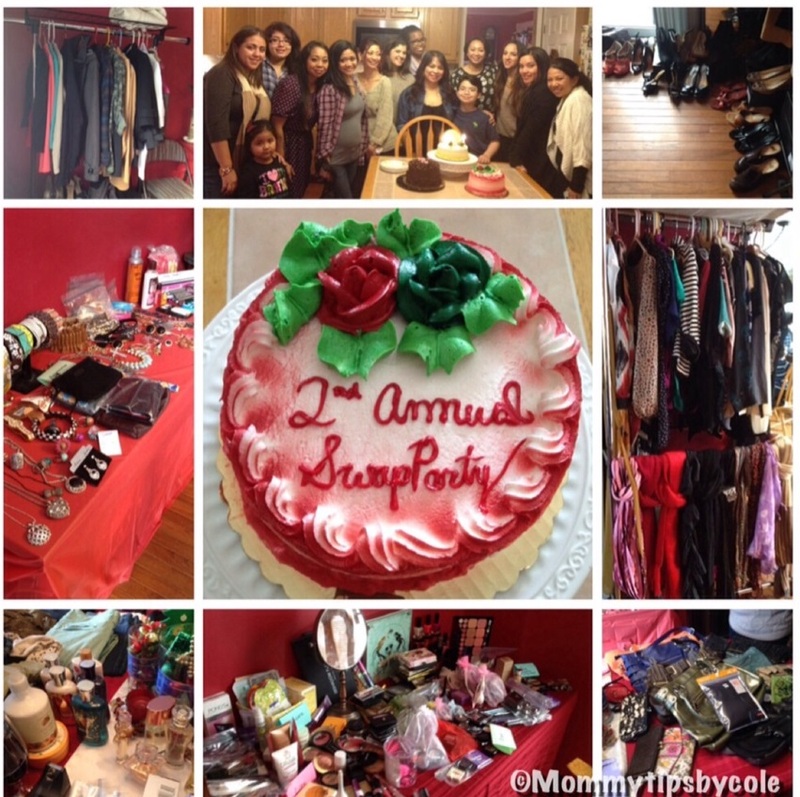 My good friend and fellow You Tuber Learnwithminette and I just hosted our 2nd annual Swap Party! If you are not familiar with what a Swap Party is, it’s basically a huge private thrift shopping event with your closest girlfriends. We chose to host our party for the past 2 years right before the holidays. While we spend lots of time and money during this time of year for others, this is a time for YOU! We all get to shop for new and slightly used clothes, shoes, accessories, make up and other beauty related items… without spending a dime! I was able to document the entire experience in a vlog and also a haul of all of my amazing finds! Below is the invitation format we used for the past 2 years, that helps thoroughly explain what a Swap Party is and the details of how the actual event will go down! Feel free to use the template if you wish! And don’t forget to check out my Swap party 2013 Vlog and Haul videos! Good Luck! Please join us as we celebrate our 2nd Annual SWAP Party!!! A swap party is just like shopping with friends- but with delicious wine and cocktails and no dreadful, credit-card aftermath! Since the holidays are coming, it’s the perfect time to indulge in our shopping urges without having to pull our wallets out! It’s also a great opportunity to catch up with your closest and dearest friends! Woohoo! Begin to clean out your closet, jewelry armoire and/or vanity and see which items you’re willing to swap with your friends. What’s Ahead For That Day? For every item that you bring, you will receive a ticket. Your ticket allows you to pick from the selection of products that everyone brings. As you browse the inventory, you can list your top picks to make the “swap” process easier.Your name will be randomly selected from a hat. Once we’ve randomly selected every person from the hat, we start all over again until everyone is out of tickets! Let’s cross our fingers that your name gets called first! First dibs are the best! But no worries, there will be tons to choose from. The best part is nothing will go to waste. If there are leftover products, we can give it to someone we know or donate to charity! It’s a win-win situation! We will provide tasty snacks and some drinks! But feel free to bring desserts or appetizers! The more, the better! !